This novel is told from the perspectives of Vuto, Samantha and two other Peace Corps volunteers. Mentioned several times throughout the novel, Samantha's parents are gay male life partners who adopted Sam when she was a baby. She credits some of her idealism from being raised in an open-minded, liberal, LGBT-headed family. This indie published book was funded by the author's successful kickstarter campaign. A.J. has also written about being bisexual and in the Peace Corps in Malawi at the Huffington Post. 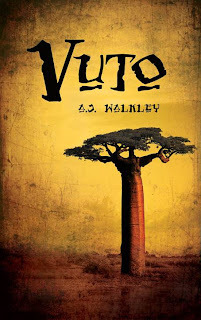 Add your review of "Vuto" in comments!